BBC Good Food Middle East speaks to Roberto Segura, the executive chef at Waka Restaurant and Craft Café. 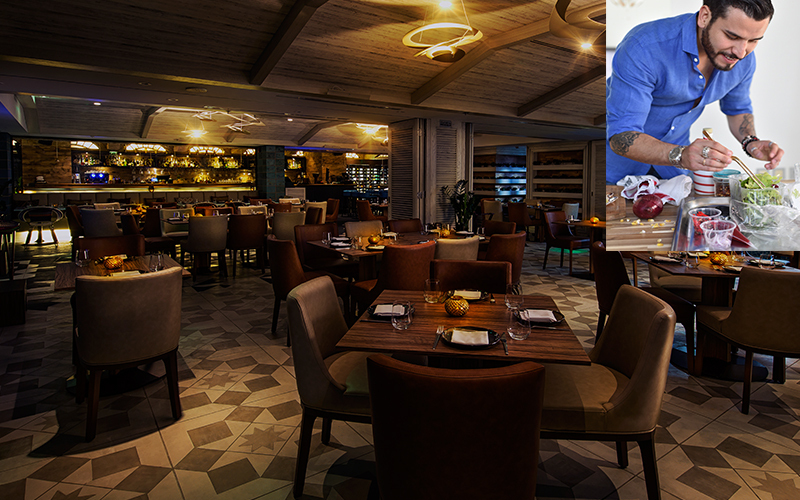 Waka is a place that brings authentic Peruvian experience in a cozy atmosphere with a selection of both traditional and contemporary modern cuisine, where dishes are being created especially for the Dubai palate. What’s unique about Nikkei food? Nikkei food is very trendy right now, but moreover is a mix of both technique and flavors, imagine a Japanese perfect cut of fish topped with amazing and flavorful sauces from the Peruvian cuisine. What are your most popular dishes on the menu? Carne y trufa is a good example of what we offer at Waka, it is one of the most popular dishes, it includes thin slices of wagyu rib eye topped with an old Japanese sauce based on egg yolk, additionally, it has truffle, crispy quinoa and spicy chipi rocoto. Do you have any special deals on over the summer? We are on the way to launch the tasting menu, a dedicated table per night with 16 dishes all meticulously prepares by the chefs and served to the table by them as well. My father, and the flavours and biodiversity of the Peruvian ingredients. What advice would you give to people trying to cook Nikkei dishes at home? First go and try the flavours, (perhaps in Waka, for example) then read some books and then have fun trying to prepare them. Why should customers pick Waka over other Nikkei restaurants in the city? Waka doesn’t only offer Nikkei food, we offer a complete experience from the time you arrive to the time you leave we make sure you enjoy every single detail. Also, our chefs are very experienced and have background in top restaurants of the world, we cook for passion, Is not a job for us, we have fun while doing it and that is reflected in our dishes! Details: if you would like to learn more about the restaurant, visit Waka.